From Lillie's Q: "You're a right brave one, aren't you? This Carolina-inspired, traditional vinegar sauce is the hottest this side of the Mason-Dixon, and Grandma Lillie's boldest creation. 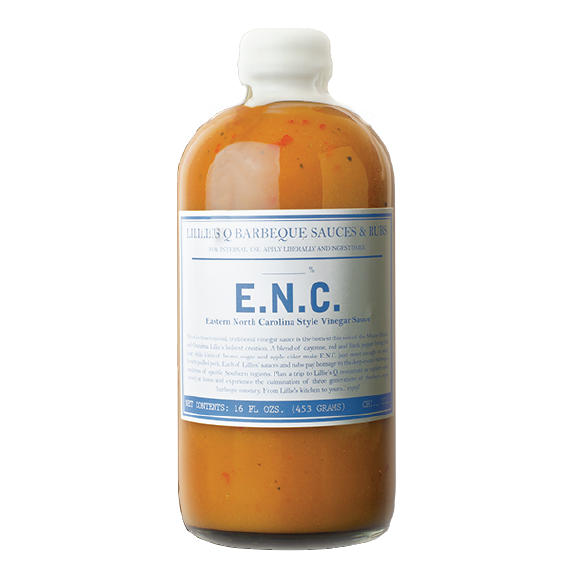 A blend of cayenne, red and black pepper bring the heat, while hints of brown sugar and apple cider make E.N.C. just sweet enough on your favorite pulled pork."